On me: H&M shades, BAW London queen bee dictionary sweatshirt. Queen bee — /kwi:n bi:/ (noun) I call the shots. 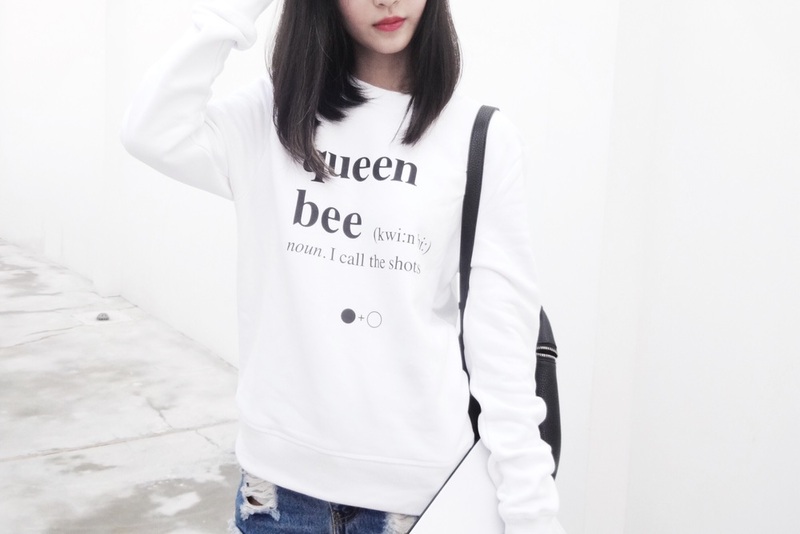 I find this sweatshirt extremely apt for me other than the fact that well, queen 'bee' would be a funny nickname for me. B(ee) for Brenda, get it? Anyway, this sweatshirt from BAW London has got to be the comfiest by far because of its soft cotton material, making it the perfect sweatshirt to snuggle in when the weather gets cold. Other than that, I'm absolutely loving it for its quirky 'dictionary' print that defines some of the terms such as 'diva' or 'ma'am' in the most humorous way possible.